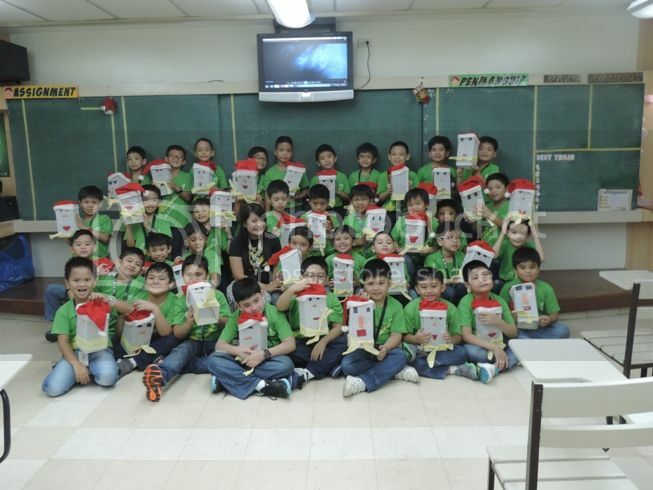 We went to LSGH early last Saturday, December 14, to watch the Lantern Parade presentation of Grade 2 students at the St. Benilde Gym. Although their performance was slated at 10:00am, the advanced class to which my son belongs was instructed to come to class at 7:20am. Perhaps, that’s to ensure that everyone was present before they all made their grand entrance at the gym. The boys were asked to go to their classroom to have their attendance checked. The accompanying adults, on the other hand, roamed the fairgrounds while they waited for the go signal to enter the gym. The Lantern Parade was one of the highlights of the LSGH Christmas Fair which is held annually. 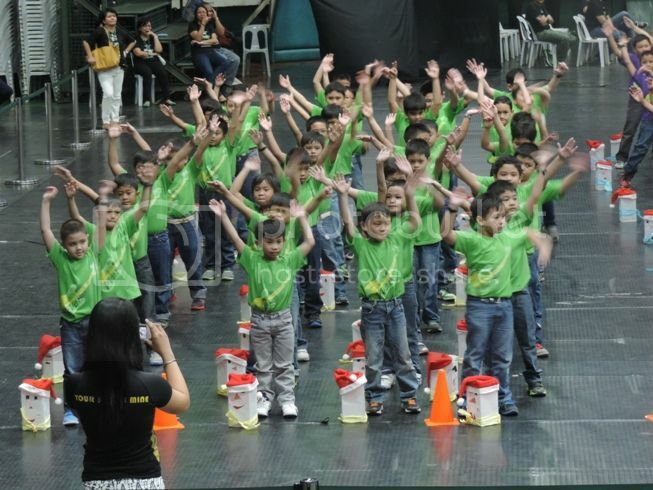 Because I was one of the last parents to leave my son’s classroom, I had the chance to take a picture of my son’s class before they all headed to St. Benilde Gym. 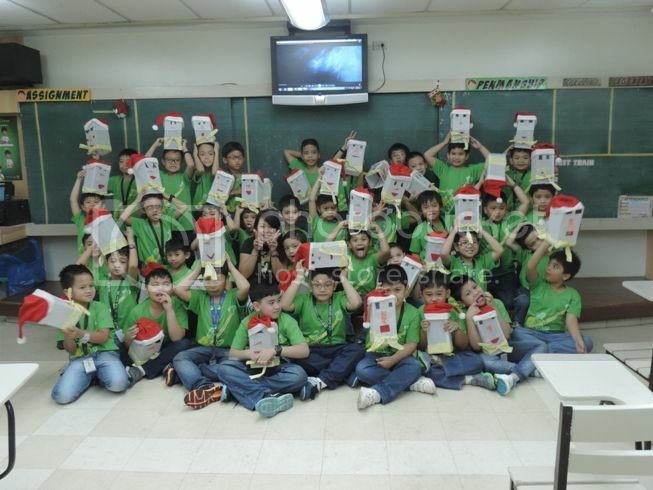 The Grade 2 students, proudly wearing their Family Day shirts and holding their Santa Claus lanterns, performed an exciting Christmas medley not once, but twice. 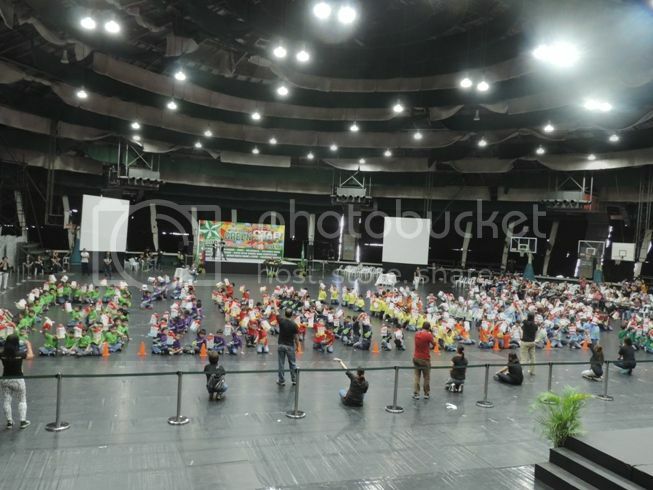 Guests were allowed to take pictures and videos of the boys during the first performance, but they were asked to clear the area surrounding the boys during the repeat performance so that everyone can have a good view of the Grade 2 Lantern Parade presentation. Our son Justin was at the back of the first row of Grade 2-A students, so we weren’t really able to see his dance moves. We were hoping he’d be somewhere near the front so that we could take a video of him while performing. What his Dad did instead was to zoom the camera to take a closer shot of him. From what I know, the boys only had a week to practice for their Lantern Parade presentation, but they did pretty well. 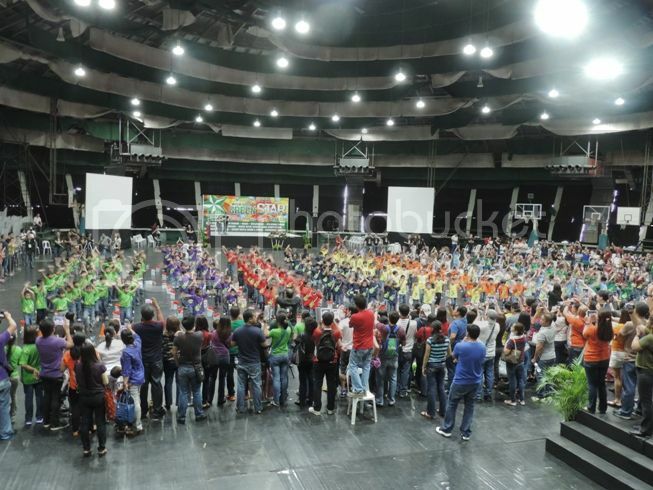 I’ll talk more about the LSGH Christmas Fair 2014 in my upcoming posts. 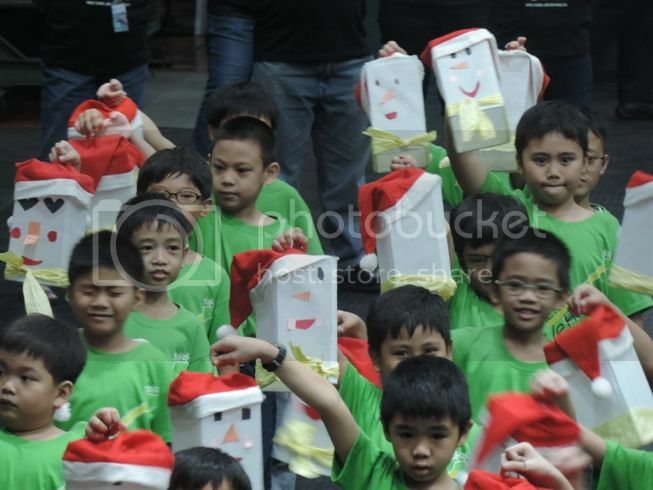 This entry was posted in Grade 2, Grade School Lantern Parade, Lantern Parade, LSGH, LSGH Christmas Fair 2014, St. Benilde Gym. Bookmark the permalink. A cool and fun way to enjoy the spirit of Christmas is to spend it with your classmate especially if you are in your grader years. I still remember when I am in my elementary years we used to have a program like this, we called it: “PARADE OF STARS and SANTA CLAUSE”. Girls will wear a STAR costume and boys will wear a SANTA CLAUSE costume, and we will have our field demonstration. I’m sure this is one proud mommy moment! Mukahng ang ganda ng presentation nila.